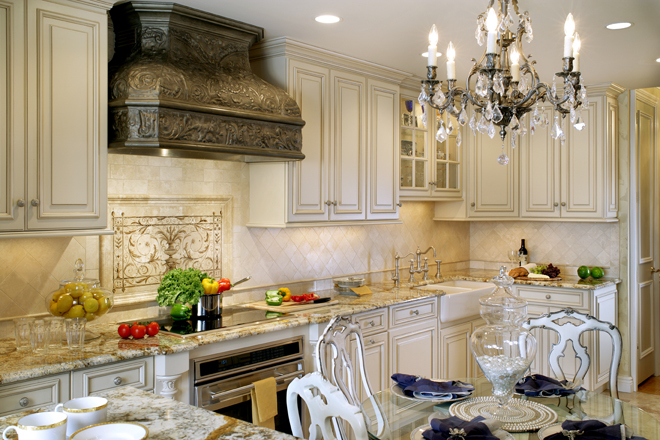 custom range hoods – Design Your Lifestyle. 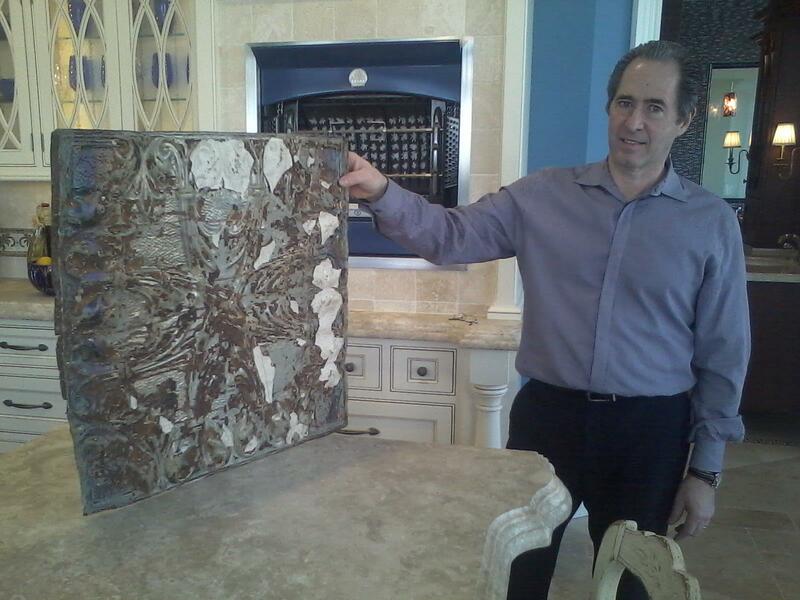 One of Peter Salerno’s signature design elements is his use of reclaimed tin from historic locations to create stunning custom range hoods and ceiling pieces in his award-winning kitchen designs. 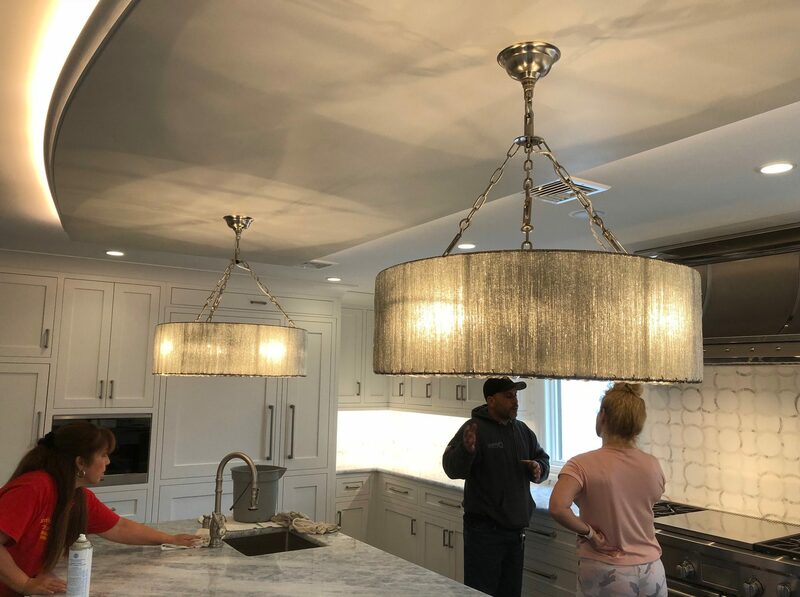 You can see the reclaimed tin from Route 66 used to create the custom La Cornue range hood and Swarovski crystal studded recessed tin ceiling in the Peter Salerno Inc. showroom in Wyckoff, NJ. 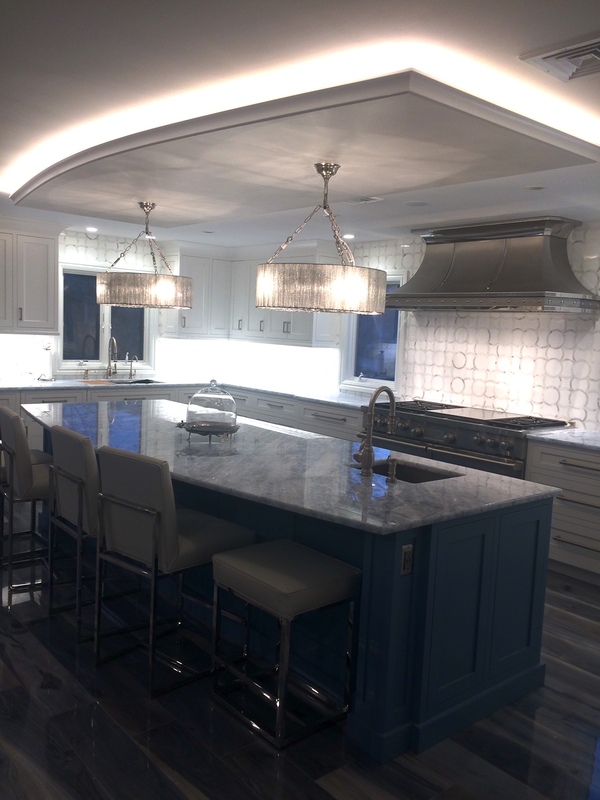 Reclaimed tin from a hotel in Chicago was used in the “Jewel Box” kitchen, named 2014 Best Small Kitchen by NKBA and a People’s Choice Kitchen for 2014 by HGTV. 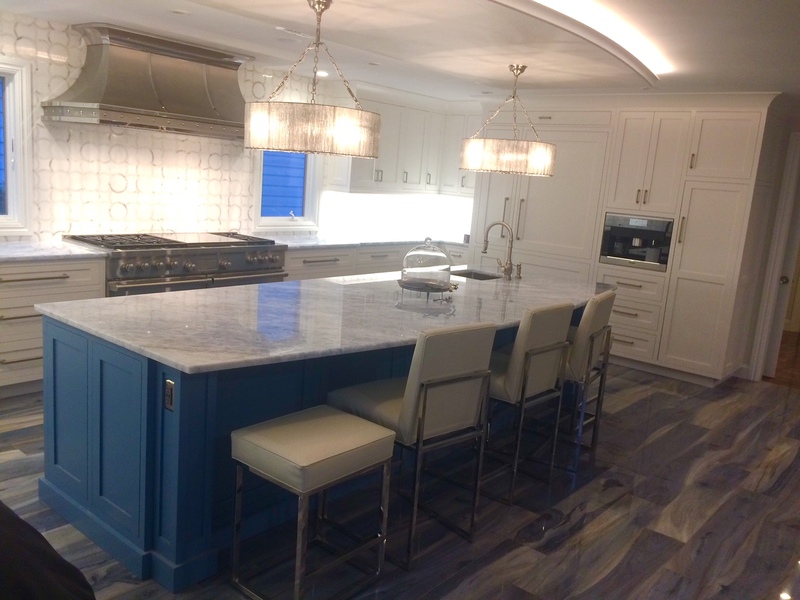 …into the custom range hood in his 2014 Best Small Kitchen award winner? 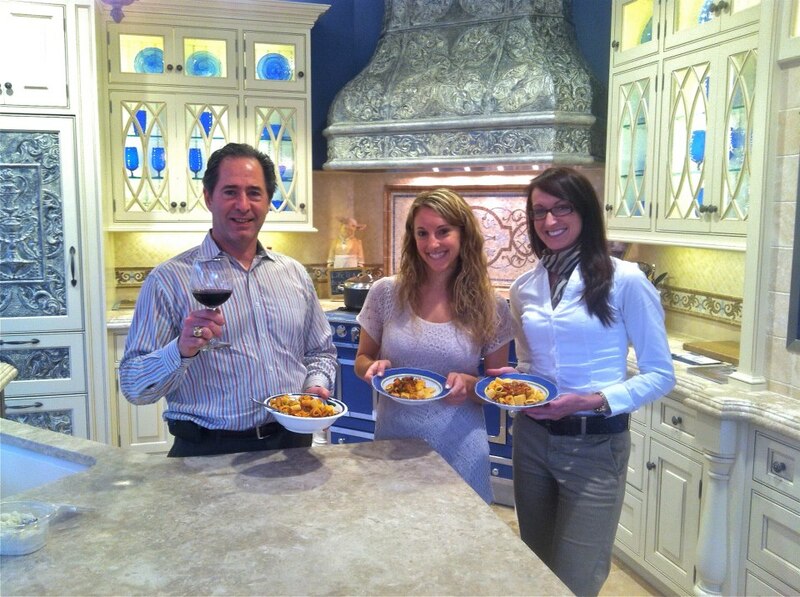 Walking through the creation process of Peter Salerno’s custom tin range hoods and recessed ceilings truly awe-inspiring. Peter knows the background of every piece of reclaimed tin that he works with – whether it’s a gas station on Route 66, or a hotel in Chicago, or a reclaimed tin roof. 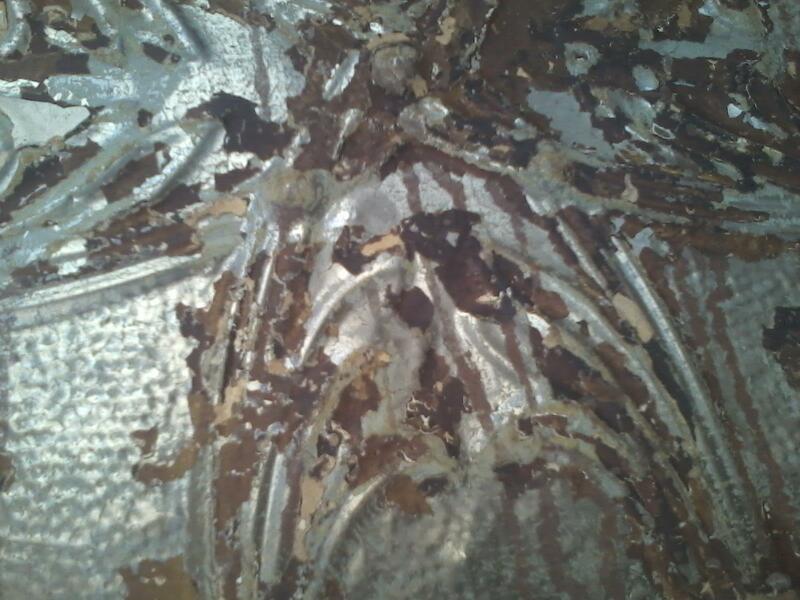 And the finished tin, on the range hood, refrigerator and ceiling. 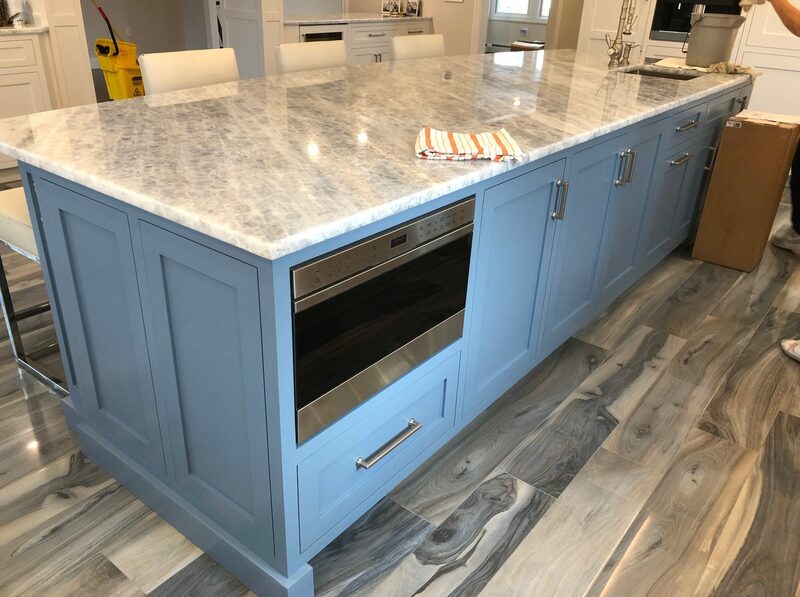 (Credit Peter Salerno Inc.
Peter and his staff of artisans take great pride in turning the everyday into the extraordinary, and there is much to be said for taking a piece of tin once considered “scrap” and turning it into personalized treasure in your very own award-winning kitchen. Fill out this form to contact Peter Salerno today!